Yesterday was L. Frank Baum’s birthday, and Tuesdays are my designated days for writing about Oz, although it doesn’t always work out that way. Since I had something more pressing to write about yesterday, I’m going to look at a Baum-related topic today. I’ve looked before at the natural mythology in his fantasy stories, which combines traditional legendary beings like Nymphs with his own creations like Ryls and Knooks. He used these fairy beings in several of his short stories, as well as in The Life and Adventures of Santa Claus, and they make an appearance in The Road to Oz. I’m not sure what order the stories were written in, but he wasn’t always consistent about what their functions were. But maybe that makes them more like the traditional magical beings of mythology and folklore, who also differ quite a bit from one tale to another. Knooks are said to be the particular guardians of birds in “The Enchanted Types,” of wild animals in general in Santa, and of trees in “Nelebel’s Fairyland” and Road. As I mentioned before, Baum also introduced other Immortals who took care of animals and trees, so there’s some level of redundancy there. As for Ryls (presumably pronounced like “rills,” although I think the Rankin-Bass adaptation of Santa used “riles”), they’re pretty much always associated with flowers, and in particular with coloring them. Even so, they’re sometimes said to do this via dyes in the ground, and other times with magical paint. Santa goes with the dye technique, but also has them using paints and brushes to color Santa’s toys. They also feed flowering plants, and are said to be always busy, but also merry and light-hearted. They’re described as “first cousins to the wood-nymphs,” and are usually only a few inches tall although they seem to be able to change size when they need to. 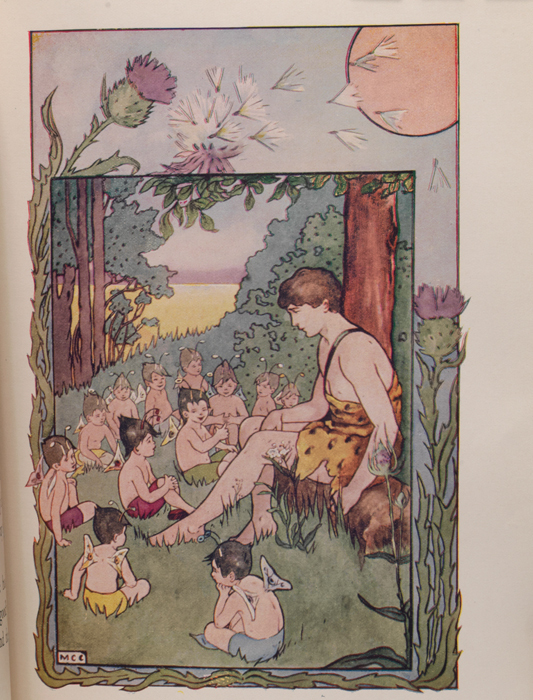 In “Nelebel’s Fairyland,” the forty Ryls who accompany the banished fairy to California create grass, roses, and poppies with their fingers. Santa mentions Black, Blue, Green, Red, and Yellow Ryls as individuals, each responsible for flowers of a particular color. It’s likely that there’s more than one Ryl associated with each color, but perhaps the few we see here are representatives at the court of the Prince of the Ryls in Burzee. It’s also possible that some specialize in particular shades. There’s only one Ryl referred to with a personal name in this book, and that’s Santa’s helper Nuter. “The Ryl of the Lilies” (sometimes just called “The Ryl”) has one who specifically tends and colors lilies, so he’s associated with a particular kind of flower instead of a general color. There are two stories featuring a mischievous Yellow Ryl, named Tanko-Mankie in “The Dummy That Lived,” in which he’s the one who brings a dress shop dummy to life by breathing on her, then later removes the life from her after she’s caused a good deal of trouble. He’s described in this story as getting around by flying, and illustrator Ike Morgan draws him with butterfly-like wings. The Lily Ryl points out that he doesn’t have wings and objects to being called a fairy, even though Ryls are elsewhere said to be a subset of fairies. He’s also able to transport himself instantly from the United States to Brazil. 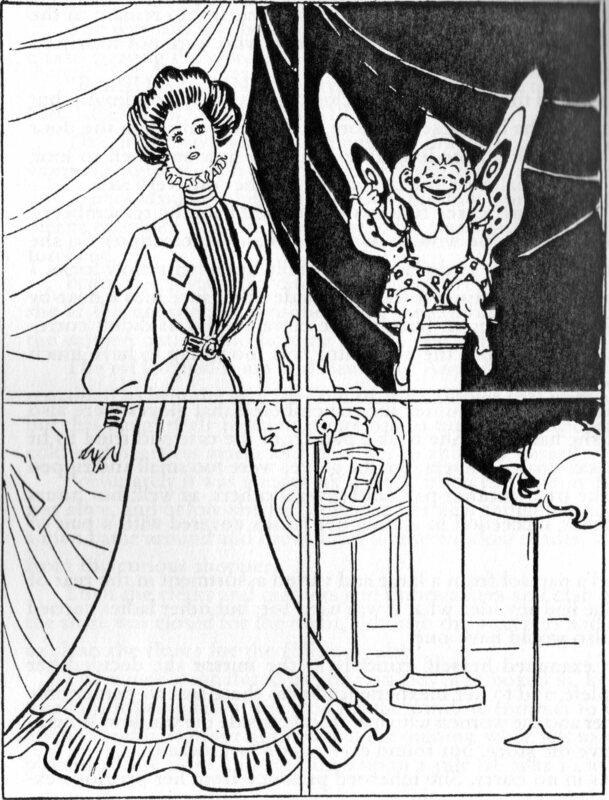 While “The Yellow Ryl,” published after Baum’s death, doesn’t name its titular character, it’s almost certainly Tanko-Mankie again, this time turned into a cat for a year and a day by the King of the Ryls as punishment for his mischief, and temporarily bringing the furniture and decorations in an American house to life in order to amuse himself. According to this story, the White Ryl is the King of the Ryls. He’s said in Santa to live in Valencia, and is friends with the fairy who becomes Prince Marvel in The Enchanted Island of Yew. Ryls are used a few times in fan-written Oz books. Tanko-Mankie shows up again in March Laumer’s Vegetable Man, which has him captured by Baba Yaga and visiting his cousin Endo-Mankie in Japan. And Ray Powell’s crossover The Raggedys in Oz has a different Yellow Ryl named Lemon, who’s trapped in a painting by the nasty painter Dauber. I don’t know that there’s really any particular precedent for Baum’s Ryls. 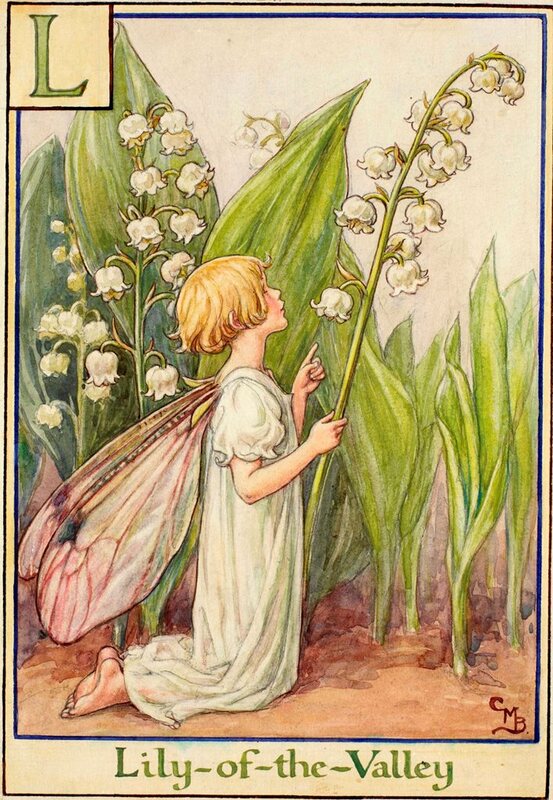 Fairies, especially the tiny kind, are often associated with flowers, but I don’t know that they were caretakers specifically. The Greek goddess most associated with flowers is the Nymph Chloris, whose Roman counterpart was Flora. She had a festival at the end of March and beginning of April called the Floralia, and was said to be married to the West Wind Zephyrus (Favonius in Latin), although other myths identified Iris as his wife. Zephyrus and Chloris have a son named Karpos, who represents fruit. As far as the classical elements go, flowers are associated mainly with earth (although there are some underwater flowers), but a very different aspect of it than the gnomes (or Nomes). 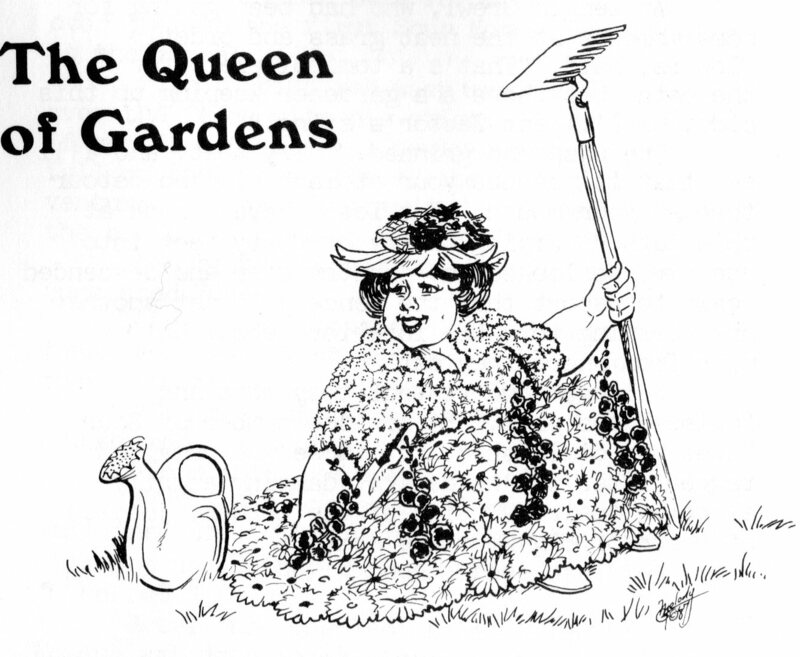 In Phyllis Ann Karr’s Gardener’s Boy, one of the fairies in Tititi-Hoochoo‘s domain is named Flora, Queen of Gardens. Ozga in Tik-Tok is also a flower fairy of sorts, a Rose Princess who grew on a bush in the Rose Kingdom and is said to be a distant cousin to Ozma. Melody Grandy explained this in Tippetarius by making Ozga and the other Rose Royalty descendants of a fairy who was turned into a rose bush. 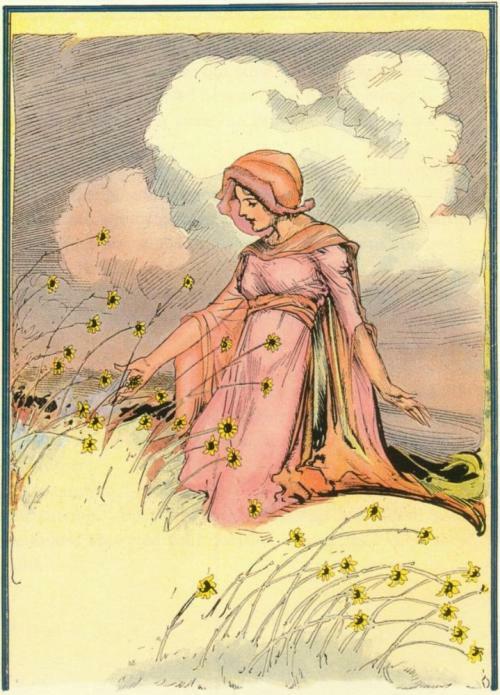 Urtha in Ruth Plumly Thompson’s Grampa is also a flower fairy, although that’s the result of an enchantment. So they are (or were) flower fairies, but not Ryls. 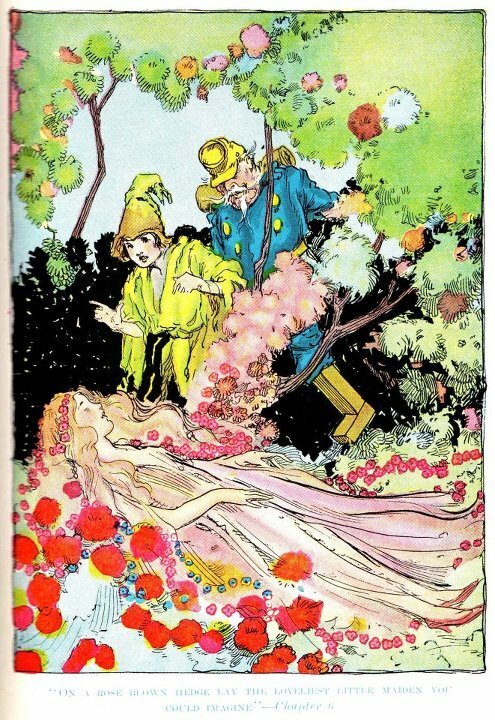 This entry was posted in Characters, Fairy Tales, Greek Mythology, Holidays, L. Frank Baum, Magic, March Laumer, Melody Grandy, Mythology, Oz, Oz Authors, Phyllis Ann Karr, Ray Powell, Roman, Ruth Plumly Thompson and tagged american fairy tales, burzee, chloris, fairies, favonius, flora, floralia, flower fairies, flowers, grampa in oz, immortals, karpos, king of the ryls, knooks, nelebel's fairyland, nymphs, ozga, prince marvel, prince of the ryls, rose kingdom, ryls, santa claus, tanko-mankie, the dummy that lived, the enchanted island of yew, the enchanted types, the gardener's boy of oz, the life and adventures of santa claus, the raggedys in oz, the road to oz, the ryl, the ryl of the lilies, the vegetable man of oz, the yellow ryl, tik-tok of oz, urtha, zephyrus. Bookmark the permalink. You probably know this, but some may not, that Knooks and Ryls are obviously based on the old phrase “nooks and rills” used to refer to small corners and streams that nourish forests and fields. There was a discussion on an Oz fan community over whether “America the Beautiful” contained the words “nooks and rills,” but it was confirmed that it’s actually “rocks and rills.” Perhaps “nooks and rills” was used somewhere else, though? Indeed it was. It used to be a fairly common concept, used to indicate the smallest and most secret places that nourish a forest, and I recall hearing it here and there when I was a boy. Two places I have found to reference it are a poem by Mary E. Kail in 1887 (in the same verse, if not in the same line) and the state song of Idaho (1915, so perhaps too late to influence Baum), which specifically mentions “nooks and rills” in a single phrase.